The Lions Club Crustacean C2 Convention was held in Beachport last weekend. The C2 District of Lions has 68 clubs represented in the eastern slice of South Australia, Western Victoria and the Northern Territory. There are four Lions Club in Wattle Range – Millicent, Beachport/Rivoli Bay, Kalangadoo and Penola. The convention was hosted by the Lions Club of Beachport/Rivoli Bay. This is the first convention hosted by the club and it was a great success. Guest speakers included a keynote speaker Past International Director Cheryle Jensen who travelled to the convention from Rotorua in New Zealand. She was an inspirational speaker and the Lions, Lionesses and partners were enthralled by her presentation that made use of metaphors from cartoon films such as Schrek to make points about relationships, setting high goals and being prepared to be different. There were 254 attending the convention, and hotels, motels and caravan parks in the area benefitted from the convention which began on Friday night with an informal reception that included the welcome to Wattle Range by Mayor Peter Gandolfi and the flag ceremony where the flags of some of the many nations that make up the Lions Family were presented. Local fisherman in their fishing togs delivered the flags to the rostrum. A Remembrance Ceremony followed where Lions, Lionesses or their partners who had passed on in the last 12 months were remembered in a moving ceremony. The business session was held on Saturday where speakers encouraged the Lions groups to continue their work with communities to make them better places to live, to sell Christmsa Cakes, to think about change and how this can work for them. A very humourous presentation was made by Dr Sarah Mott of Mt Gambier. She spoke about about “Peeing and Prostrate”, a serious and delicate topic but she delivered with a great sense of fun. Both men and women learned much from the presentation as she also talked about the sometimes dysfunctional communication between men and women and the need for couples to talk. An excellent banquet was held on the Saturday night followed by a key members’ breakfast early Sunday and then a luncheon/picnic catered by the Millicent Lions. The catering for the convention on all occasions was exceptional and many will remember the food provided by the Millicent Lioness Club for the informal reception. Photos: Bylaws Chair and DG – Constitution and Bylaws Chairman Cheryle Pedler and Ditrict Governor Ron Sargent prepare to begin the next part of the business session. David Snook – David is the Convention Chairman (Beachport club) and in this photo he has a moment to sit down and watch proceedings. Part of Convention attendees – A photo of some of the attendees. DG Ron and Ivan – District Governor Ron Sargent speaks with Ivan Mahony of Mt Gamber Lions. Ivan spearheaded a project raising money to install air conditioners into the cancer lodges in Adelaide. An amazing $66,000 was raised. The money came from Lions and the Bowling clubs of the area that conducted bowling days and the proceeds were presented to the the Lions coordinating committee chaired by Ivan. Categories: Beachport, Community Groups, Events, General News, Kalangadoo, Millicent, Penola | Permalink. Limestone Coast police arrested a man following an alleged assault at Kalangadoo overnight. Just after midnight, police were called to a house on Adelaide Road following reports of a man armed with knife having assaulted another man at the property. A 30-year-old man from Western Australia was charged with aggravated assault and property damage. He was refused bail and will appear in the Mount Gambier Magistrates Court on Monday. The victim received minor cuts to his arm. Both men are known to each other. Categories: Human Interest, Kalangadoo, Police News | Tags: Assault, Kalangadoo | Permalink. South East Family History Group outing. The Millicent South East Family History Group spent Sunday 31st August on an organised tour of historic properties in and around the Kalangadoo area. 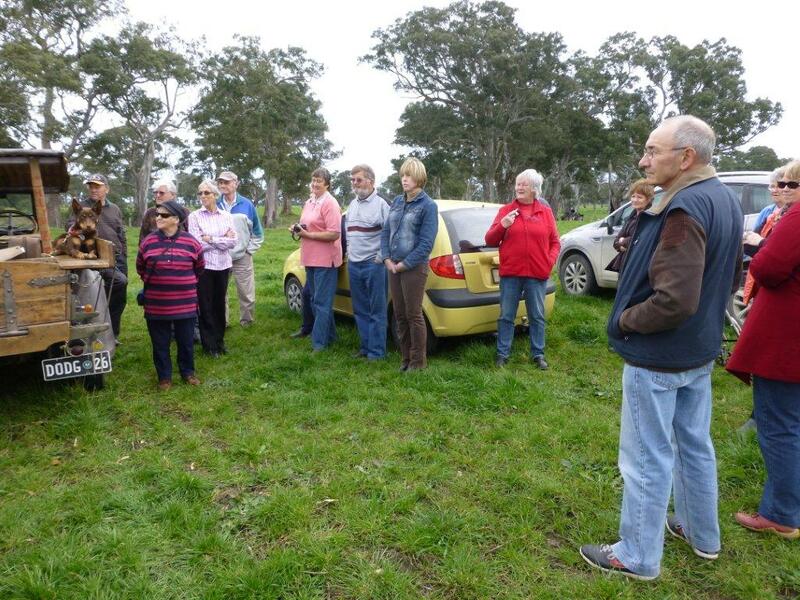 Over 30 people enjoyed a presentation before the tour and then travelled together, beginning with the Lowan Homestead and finishing at the Hunter Brothers Homestead in Kalangadoo. Categories: General News, Kalangadoo, Millicent, Wattle Range | Tags: SE Family History Group | Permalink.